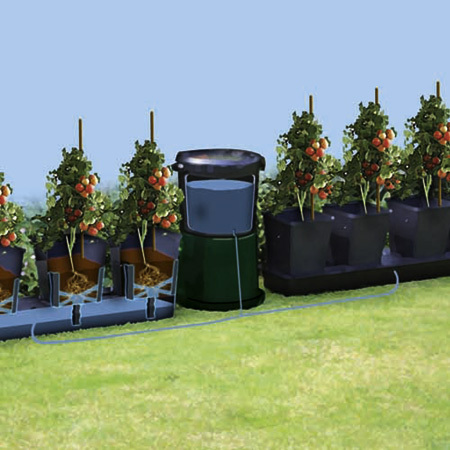 The ingenious 'Octogrow' system is the hassle-free way to bumper harvests of tomatoes, peppers and other crops. 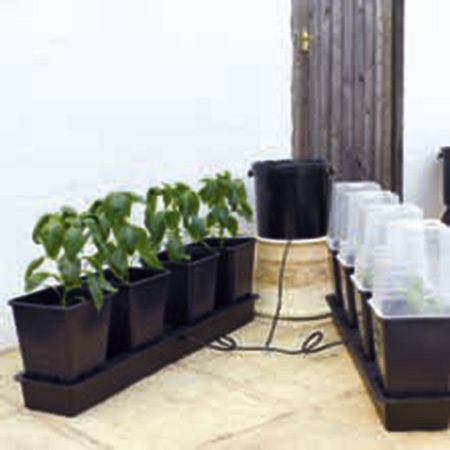 It provides plants with constant access to water and nutrients, with no fear of over- or under-watering (a water regulator draws water from the 25 litre reservoir into the water tray as it runs low, and capillary strips take water up into the soil as and when the plants need it). Simply fill the 8 large 11 litre pots with compost, plant up and ensure the reservoir is periodically topped up. 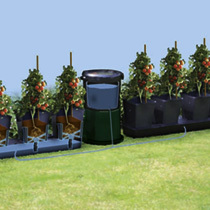 It has two trays of four pots - 130cm (51") long x 24cm (10") wide x 36cm (14") high - and is ideal for greenhouses. Waters and feeds 8 plants for up to 1 week!